Identity Theft Statistics and Facts: Are You at Risk? 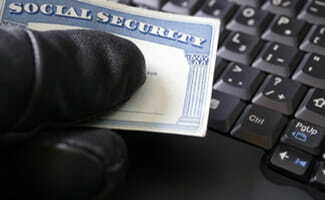 Identity theft is an increasing crime in the United States. With everyone sharing information and purchasing products online, it’s easier than ever for criminals to obtain personal information. That’s why it’s important to be proactive and protect yourself as much as possible from becoming a victim of identity theft. We’ve gathered data from sources like the Federal Trade Commission (FTC), Bureau of Labor Statistics, United States Census Bureau, and more to provide you with information about identity theft. The estimated population of the United States in 2014 was 318,907,401 (245,308,220 of those were ages 18+). That year, 12.7 million American adults were victims of identity theft. Those numbers show that 5.18% of adults in the United States were victims in 2014, which is close to one every 2.5 seconds. Was that a lot of numbers to take in? Let’s break this down. The above stats mean that 1 out of 20 adults in the United States had their identities stolen—and those figures are only from people who realized they were victims and reported it. Many cases of identity theft go unreported. It can take years until the person discovers their identity has been stolen and, unfortunately, many people are embarrassed or ashamed, so they don’t report the crime. It’s important to keep in mind that those figures do not include child identity theft. Children are common targets for identity theft because they are not taking out lines of credit, so their credit scores often go unchecked. The Noah Insurance Group says certain factors contribute to some states being targets for identity theft more than other states. These factors include population density, economic conditions, and employment index. Cities with a higher unemployment rate, a larger population of older people, and a higher number of tourists are more commonly affected, making large cities the likeliest targets. According to the FTC, the following were the top ten states identity thieves were targeting in 2015. We included some demographics to give you a better understanding of why the states may be on the list. Below are a couple important laws that have been enacted to help deter identity theft in the United States. The Identity Theft and Assumption Deterrence Act, enacted in 1998, made identity theft a federal crime. Before this act, only those who suffered monetary loss were considered victims. Thanks to this statute, any person who has his or her identity stolen is seen as a victim regardless of monetary damage. Penalties are up to 15 years in prison and a fine of up to $250,000. Congress passed the Identity Theft Penalty Enhancement Act in 2004, which adds two years to prison sentences for criminals convicted of identity theft. Violators who use stolen credit card numbers or other personal data to commit a “terrorist offense” get an extra five years in prison. Identity theft isn’t only inconvenient; it’s also expensive. To avoid the costs of regaining your identity, the first thing you should do is purchase identity theft protection for yourself and every member of your family—including your children. Identity theft protection services like IdentityForce can help keep tabs on your personal information and notify you of anything out of the ordinary. Paying a small monthly fee for protection is better than losing thousands of dollars (or more). Another thing you should do to protect your identity is to shred documents with personal information on them before trashing or recycling them (check out our top picks for the best shredders here). You should also change your online passwords regularly and make sure they are complex with a combination of characters, numbers, and symbols (check out our top picks for best password managers here). Check your credit report frequently and check for unexpected entries. If the worst happens and your identity is stolen, read this article for what to do next. Why do you think identity theft is such a significant problem in the United States?